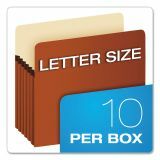 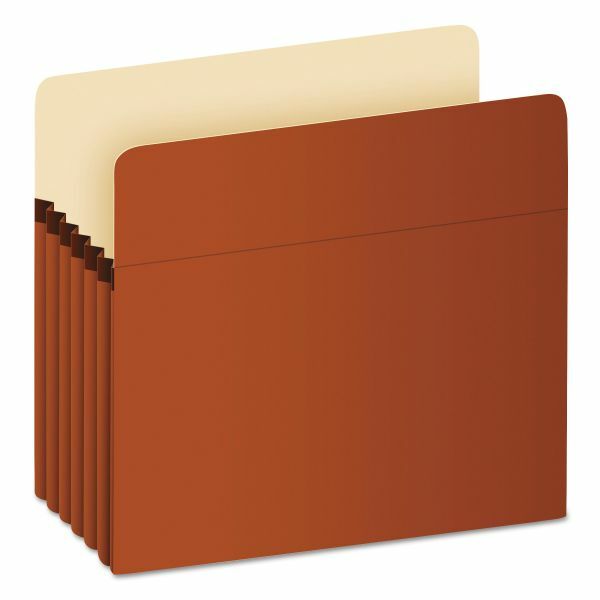 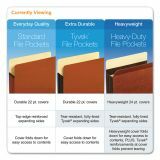 Pendaflex Standard 5 1/4" Expanding File Pockets, Manila, Straight Cut, 1 Pocket, Letter - Expanding Vertical File Pocket is great for filing documents of different sizes together in one easy-to-reference place. 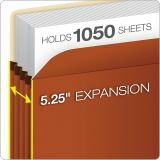 Made of five-piece construction with manila lining, this pocket expands to accommodate more material as it is added with the Mylar-reinforced redrope gussets. 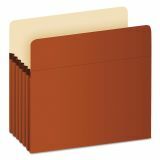 Closed sides keep small notes and memos from falling out. 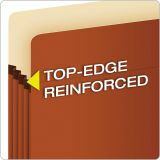 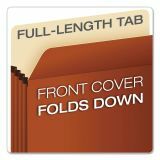 Scored fold-down front and straight-cut tab provide quick access.